Golf Lesson teaching adults On course lessons PGA, Hank Haney, Titleist Performance Institute. Do you use swing video analysis? Yes. We use video analysis to help the player understand their swing characteristics in combination with how the tour pros do it. Our goal with the video is not to make a player swing like someone else but to give them a visual perspective in case certain changes are needed. Will I be playing with players of my ability? Yes. This is why the teams are invite only. We work to fit the right players in the right teams so they are competitive and at the same time great fun. We believe that in order to be successful at golf you have to practice with a purpose, have the right mental approach and understand how to manage your game on the course, with all these areas covered only then can you achieve your golfing potential. How can I find out if the program is a good program in right for me? Sign up for our $95 special a 2.5 hour on course playing lesson, range balls and greens fees included. In game on course session we will get to know your game, goals and areas of improvement to create an individualized improvement to assure you achieve your golfing goals. What is Coaching Vs Instruction? It's simple: a Coach gives you what you need to achieve your goals as he accountable for you achieving success. If your looking for quick fixes or just swing work this is not for you. This is for players that want to break through to the next level by understanding how to manage their thinking, learn how to score on the course and learn how to practice with a purpose so that they can achieve their potential at golf. How does the Guarantee work? What's the catch? The catch is you have to show up and do what we coach you. We ask you to commit to 10 session over 12 week. If you do not achieve your goal we will continue to teach you for free till you get their. 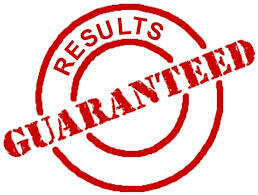 We guarantee our results, so expect to achieve your goals. 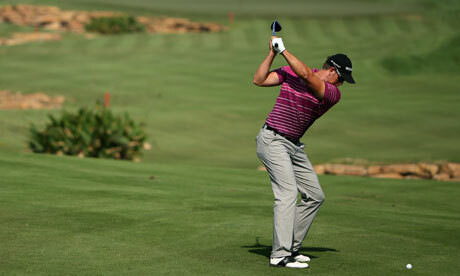 Yes, we believe that each golfer as an individual has an internal swing that we coach them how to find. We believe as coaches that the result is inside you and we have to help you to learn what works for you. We try to implement minimal technical changes so that the changes are understandable and repeatable, bring the consistency and confidence you desire. Do you offer private golf instruction? We do private lessons alongside our coaching programs for those of who would like it at additional cost. All players must be in a coaching program for a minimum of 12 weeks to get their base understating before getting private lessons. Sign up online our website. Go to the Coaching tab on the website, then pick the adult program that works for you and, create your own account that will track all the information required. We determine the goals of the each player and create specific drill, games and test for each player that will best help them achieve their goals. Our adult coaching program is the best value in golf instruction and the actual cost will vary based on the package you select and your commitment level. The results are guaranteed and the price is lower than any private instructor price. Is it a money back guarantee? No, the guarantee is about achieving your goal, not getting your money back. That's why we'll coach you for free if you don't meet your goal. Most fun I have ever had playing golf. Thanks coach you rock, I now feel confident on the course and know that I can score with confidence. I dropped 10 shots in 10 weeks! This program is amazing i am now shooting in the low 80's consistently. I have played golf for 12 weeks and I just shot 96! We guarantee our results or we teach you until you hit your goals! If your interested in taking your game to the next level enter your details above and we will have a coach contact you to discuss your goals and creating a plan to achieve them. Are you looking to drastically lower your scores? We will simplify and accelerate the learning process so you will achieve lasting results faster than any other form of golf instruction available. How do we accomplish these results? We know how great players think, practice and play. So rather than reinvent the wheel we coach our players in collegiate style team environment. Step 3. We determine which sensory teaching method best enables your learning process. What are the tool and skills we will learn ? We guarantee we will get you to your goals or we will teach you for FREE. It's a unique offering that no other instructor can match! We stand by our programs and are committed to our players success. To Find a team that fits you Click Sign up on top of page.